There is no doubt that big data and analytics are on every HR professional’s mind in 2019. How to best harness, analyse, and interpret people-related data from every corner of the business is one of the biggest challenges facing the profession at the moment. Adding to the challenge is the fact that the practice of analytics itself is evolving. Traditional organisations will need to transform their own cultures in order to bring out the innovation, creativity, and digital intelligence needed to gain the new insights available through organisational data. Microsoft CEO Satya Nadella says there is a symbiotic relationship between data, insights, and cultural change in this newfound digital era. Culture, he points out in his 2017 book Hit Refresh, is a corporate asset that requires continuous attention. Microsoft’s global Workplace Analytics division defines this practice as “the use of data about human behaviour, relationships, and traits to make business decisions”. It says this helps to replace decision-making based on anecdotal experience, hierarchy, and risk avoidance with higher-quality decisions based on data analysis, informed prediction, and experimental research. The team has worked with several Fortune 500 companies, observing their use of people analytics to help understand and drive their transformation efforts. Much of that learning is available through the exclusive Igniting Innovation with the Power of Culture webinar, available to HRM Magazine Asia readers until May 9. 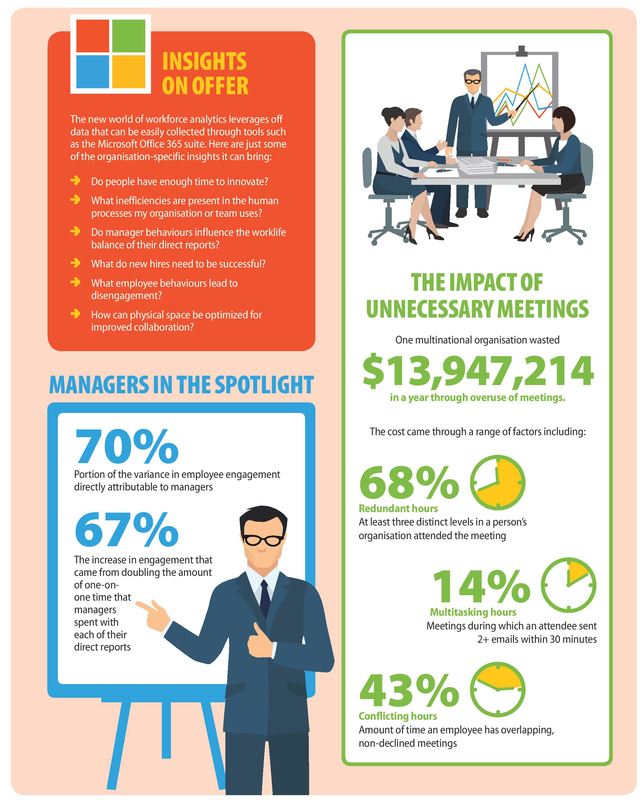 Among the powerful insights highlighted are the increasing costs and organisational impacts of unnecessary and low-value meetings. Across a single multinational company that Microsoft consulted to, some US$14 million was lost due to these low-quality meetings, including through redundant hours (where three or more levels of a team or organisation are present in the meeting), multitasking (where attendees’ attention is necessarily split between their colleagues and other tasks such as email), and conflicting hours (where workers are expected at two or more meetings at the same time). Microsoft also offers some key advice on measuring and improving manager effectiveness. Its Workforce Analytics team has found that 70% of the variance in employee engagement can be traced back to the managers that they reported to. Effective analytics – available through Microsoft’s Office 365 – can help HR to determine management behaviours that lead to more engaged staff and higher productivity. 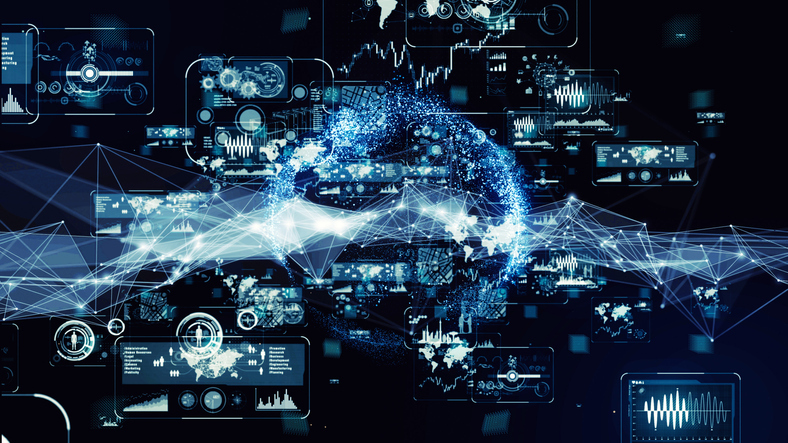 Traditional organisations will need to transform their own cultures in order to bring out the innovation, creativity, and digital intelligence needed to gain the new insights available through organisational data. These new, data-driven benchmarks can then be communicated across the business to empower all managers to create better teams leveraging off the clear evidence available to them. Chantrelle Nielsen and Natalie McCullough, both leaders in Microsoft’s Workplace Analytics division, say the effective use of analytics has the power to help transforming organisations get on the right path far more quickly and confidently. How can HR professionals best equip themselves for the new, digital world of work? We bring you some of the key learning points from HR Tech Think Tank. It is expected that an additional 400,000 jobs will be created for Filipinos at local firms by 2030, according to new forecasts.